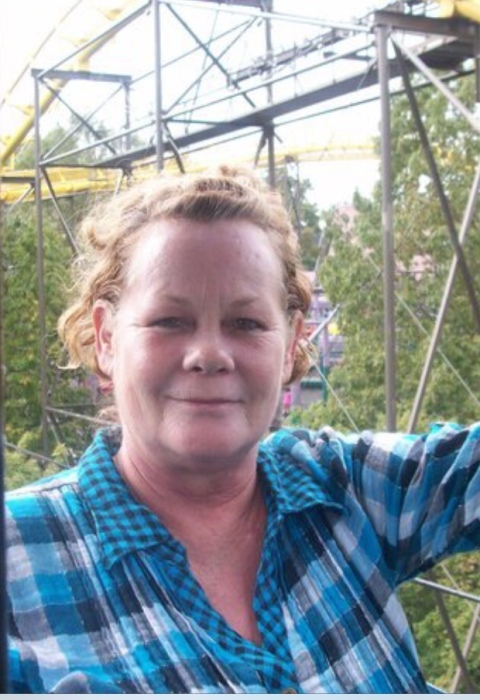 Edna Faye Cummings, 63, of Laurinburg, passed away on Friday, June 8, 2018 at her residence. A memorial service will be 3:00 p.m. Monday, June 11, 2018 at the McDougald Funeral Home Bumgarner Chapel, officiated by Rev. Sterling Chavis. Visitation will be from 2-3 p.m. prior to the service. Born November 12, 1954 in Robeson County, she was a daughter of the late Sandy and Alline Locklear Dial. She retired as an assembler from Abbott Laboratories. She is survived by her husband, Alex Michael Cummings of the home; daughter, Sutina Monte and husband David of Myrtle Beach, S.C.; son, Tracy Frankie Lowery and wife Windy of Maxton; grandchildren, Cashlyn Locklear, Cearria Lowery, Cody Mishue, Jazmine Warren, Whitney Lowery, Cassie Locklear, Nahaven Monte, Shyann Monte and Adrianna Chavis; great grandchildren, Malakiah McDonald, Addison Williams, Brayla Williams and Jasper Oxendine; stepchildren, Pattie Cummings, Shawn Cummings and wife Kathy, and James Alex Cummings; brothers, Sandy Dial and wife Vicky of Denver, N.C., Glen Dial and wife Judy of Concord, Grady Dial of Laurinburg; sisters, Geraline Butler of Laurinburg, Carol Beasley and husband Carl of Laurinburg, Donna Dial of Gastonia and Evelyn Dial of McColl, S.C. She is preceded in death by her sisters, Judy Dial, Susan Dial, Kathy Dial and Jean Blades and brother, Ronald Dial.